Partnering with leading technology providers, Filmbankmedia offers innovative and secure screening and viewing solutions such as Digital Rights Management (DRM). No matter your requirements, we can provide you with the robust and studio-approved technology you need for your entertainment services. Filmbankmedia offers digital distribution of film and TV entertainment to integrated technology providers for use on customer-facing technology systems within the Hotel, Healthcare, Maritime and Transport sectors. For more information, please visit our markets section. 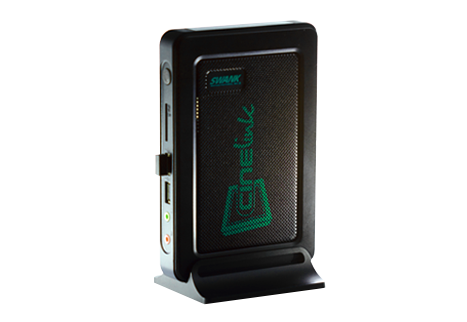 Cinelink is a portable Digital Media Player employing studio-approved secure encryption software. This technology allows Filmbankmedia's customers to access an ever greater selection of ‘early release’ films than ever before. For more information on the Cinelink Media Player, please click here. A portable Digital Media Player utilising the latest secure encryption technology to deliver more 'early release' films than ever before. Please contact us with any technology requirements you may have.